I try to reserve Fridays for more thoughtful and reflective posts, something to mull around in my head to keep the brain from going to mush over the weekend (it rarely works). However, on the occasional Friday I also love to give away FREE brand new computers! Alright, so I’ve never actually given away any computers before, but I will be soon! Lenovo, makers of the popular ThinkPad laptops, recently teamed up with with a promotional partner to put the really cool touch-screen powered Lenovo m90z ThinkCentre in the hands of some prominent education bloggers. I’ve been putting the machine through it’s paces, and there are a lot of really engaging reasons to have a machine like this in your classroom; huge screen, responsive touch, and it makes for a really cool interactive learning center! And guess what? Lenovo is giving me another brand new one to give away! Huzzah! Enough talk, how do you enter to win? I will be launching the contest on April 25th at 6 AM (EST). Check back here for a post with the official rules on that date as I will ONLY be accepting entries between April 25th and April 29th. I know, I know, waiting is hard to do. Details for what you will need to do will be posted then, as I’m still contemplating whether to do a simple comment entry, or ask for something a bit more creative (I’d love to see some video submissions). Is there going to be another giveaway? 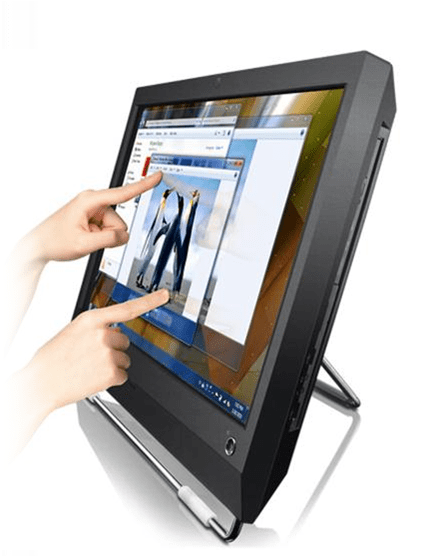 Want to know more about the Lenovo Thinkcentre m90z? You can view any of my videos below to see the machine in action. I don’t need a computer, so I’m not entering any of the contests (they’ve been coming through my feed reader pretty regularly, though), but I thought I’d tell you how cool I think it is for all of you (and Big Blue, of course) to give all this equipment away! Warm fuzzies aside, I really can’t take any credit, as this is a fantastic idea put out there by Lenovo and their partners Ivy Worldwide. Even better is that they didn’t ask us to give really fancy, polished, feel good reviews, but to be honest about the machines, so it was cool to be a part of it. That and being able to give one away is awesome! Ben, does this computer work as a tablet does? Would it allow me to use a stylus to write on documents and have students see what I write? Yes, it does work with a stylus, but it’s very much not portable (at 23 inches it’s a beast of a desktop), so you would want to either create screencasts for your students similar to Khan Academy, or have the screen close to where you’re going to be doing all of your speaking.